This is a tutorial I created a couple of years ago for my beginners studio lighting class and I thought it would be helpful to share here. It’s about becoming intimately acquainted with our gear. People who have taken my workshops know that I often talk about little nuances and quirks in our gear. We all need to know these little quirks and know how to tweak or modify our approach based on those nuances. I would like to illustrate an example. I had gotten to really trust my handheld meter, so when I started seeing unexpected results upon changing lenses I ran an experiment. I ran this experiment in the studio with wall-powered strobes because it was easiest to eliminate variables there and hold everything except the lens constant. Meet Lilac, my daughter’s American Girl. She is a fabulous studio assistant. She sits really still and lets me run as many tests as I want. This is why she makes frequent appearances in my tutorials. Ha! I photographed Lilac with five different lenses. All other variables were held constant as shown in the data below. I shot these in raw, did zero processing to them other than open in LR and export as jpg. These are for all intents and purposes SOOC. Wowza, look at the exposure variation! Does this mean I need to calibrate my handheld meter? No, because which lens would I calibrate to? Then as soon as I changed lenses, would I recalibrate? That doesn’t make much sense. I know that my primes are in alignment with what my handheld meter tells me. And I know that when I shoot with my zooms I need to open up just a tad from what my handheld says (except for my Tamron, which is weird, but at least now it’s now a quirk I am aware of). Your in-camera meter is measuring the light coming thru the lens while your handheld meter is measuring the light actually falling on the subject, so you will not see these kinds of lens-dependent variations when using your in-camera meter. When you are using an in-camera meter, any variation in lenses will automatically be compensated for since the in-camera meter is taking it’s reading through the lens. That’s why many people don’t even realize the variation of exposure in their lens lineup until they being working with a handheld meter. If you are getting frustrated and thinking your meter and your camera are not in alignment, this could be exactly what is going on. It doesn’t necessarily mean something is wrong, broken, or needs calibration. It also doesn’t mean zoom lenses are bad news. It just means that you may need to become better acquainted with your specific gear and know when you need to tweak or adjust your settings. As I said above, I know I need to open up my aperture a bit relative to my handheld meter reading when shooting with zooms. I hope this helps someone else who may be struggling with unexpected exposure using their handheld meter. Susy - Thank you for posting this Jes! I have this issue and kept thinking I was doing something wrong. Lauren - I was just noticing some differences lately with my meter. 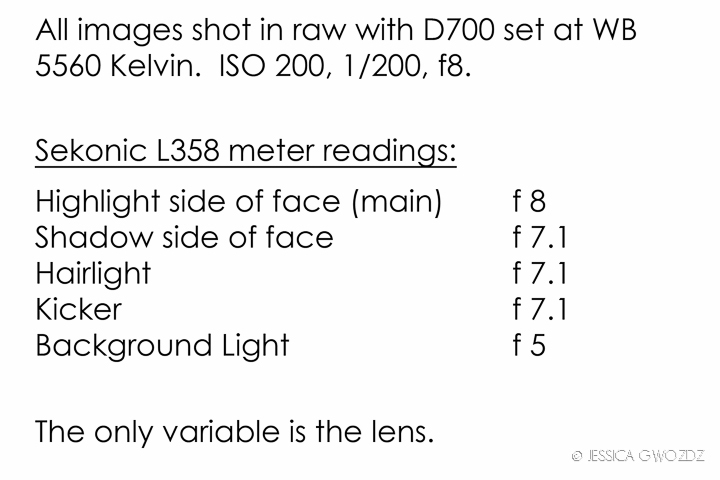 And you are right that I was using a different lens than when I calibrated my light meter. At least I know I’m not crazy now! Thanks! Kerry - You answered a question that I have had the past couple of days…the difference between my in-camera meter and an external light meter. Thank you!